Definition at line 144 of file fci.h. Definition at line 145 of file fci.h. Referenced by add_data_to_folder(), fci_flush_cabinet(), fci_flush_folder(), FCIAddFile(), and set_cab_parameters(). Definition at line 146 of file fci.h. 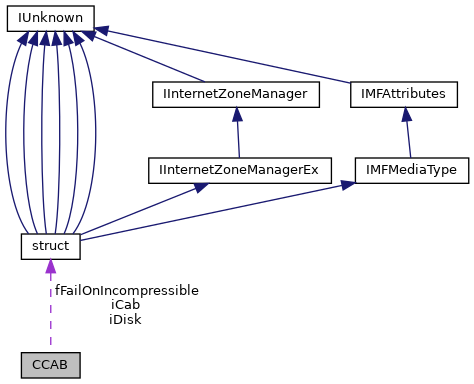 Referenced by fci_flush_cabinet(), FCIAddFile(), and set_cab_parameters(). Definition at line 150 of file fci.h. Referenced by add_data_block(), add_data_to_folder(), copy_data_blocks(), get_header_size(), write_cabinet(), and write_data_blocks(). Definition at line 149 of file fci.h. Referenced by add_data_to_folder(), add_folder(), fci_flush_cabinet(), fci_flush_folder(), FCIAddFile(), get_header_size(), write_cabinet(), and write_folders(). Definition at line 148 of file fci.h. Referenced by get_header_size(), and write_cabinet(). Definition at line 154 of file fci.h. Definition at line 151 of file fci.h. Referenced by fci_flush_cabinet(), fci_flush_folder(), FCIAddFile(), get_next_cabinet(), set_cab_parameters(), and write_cabinet(). Definition at line 152 of file fci.h. Definition at line 157 of file fci.h. Referenced by set_cab_parameters(), and write_cabinet(). Definition at line 160 of file fci.h. Referenced by fci_flush_cabinet(), fci_flush_folder(), FCIAddFile(), FCICreate(), get_header_size(), get_next_cabinet(), set_cab_parameters(), and write_cabinet(). Definition at line 161 of file fci.h. Definition at line 159 of file fci.h.